Toms Ducted Heating Cleaning service offer a wide range of services for heater repair, replacement, installation and maintenance. Toms Duct Repair offers quality Duct repair, installation, insulation and Duct Replacement services with guaranteed result. Duct Cleaning expert at Tom’s are well versed with the latest technology & environment friendly cleaning methods transforms your surroundings into nothing short of spectacular. Competitive affordable prices with services tailor-made to suit all your cleaning needs. You get more than what you pay for. Book in Advance or Book for the same day full service air duct cleaning, we will be there as promised. Reach us through a quick phone call. Tom’s Duct Cleaning services in Melbourne is available all round the clock. Your convenience is our priority. Toms Duct Cleaning Melbourne is one of the leading duct cleaning companies in Melbourne that offers ducted heating cleaning services which takes care of your cooling as well as heating ducts. We provide all duct cleaning services for residential as well as for commercial purposes. Ducted heating cleaning services at Toms improves the air of your home and your office that keeps your family, as well as employees, fit and healthy. Our ducted cleaning services also include duct maintenance and duct repairs. 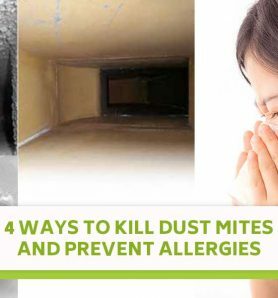 Sometimes, ducts can create allergens and pathogens due to dust, germs and bacteria residing in them. They can also result in respiratory diseases like asthma or bronchitis. So, we provide full air duct cleaning services that keep all those unhygienic and unhealthy dust particles at bay. This freshens-up the air quality and keeps your loved ones safe from diseases. In addition, regular ducted heating cleaning improves the lifespan of the ducts keeping your pockets healthy. At Toms, we focus on offering excellent customer experience for all of our air ducted heating cleaning services. Our customer is our top most priority and so we have created a process that saves their time and increases their satisfaction with our services. Whenever there’s a call or an email from our customer, we respond to you within 1 business hours. At Toms, we understand your busy schedules on weekdays. So, we ensure we finish air duct heating cleaning tasks within a few hours. With us, you don’t end up spoiling your weekends on such time-consuming cleaning processes. Toms Cleaning service is a renowned name in the duct cleaning Melbourne industry. We specialise in duct repair and ducted heating cleaning service for any type of HVAC (Heating, ventilation, and air conditioning) systems. Our Top rated cleaning services will remove all contaminants and partials from your HVAC systems. Toms professional Ducted heating cleaning service will assure pure air and improved health. We are popular in Melbourne as a home and commercial duct cleaning company for our expert duct repair and ducted heating cleaning services. A large specialised vacuum will be attached to a hose and a brushing system that is run through the ducting. A high-pressure air hose is passed through the ducting to remove the particles from the interior. Once it is done with any of the above methods, our technician will fog a disinfectant through the cleaned system to eliminate any mould, bacteria and dust mites that might remain. Both above-mentioned approaches work at its best for the best air duct cleaning. Winter is Coming! Have you cleaned your Air Duct? Make your heating ducts worth it. Get the best-ducted heating cleaning at an affordable price, call Toms Duct Cleaning Melbourne at 1300 068 194 today. The National Air Duct Cleaners Association (NADCA) suggests getting your air ducts cleaning done every three to five years. Duct cleaning professionals say that it is also subjected to the condition of the HVAC system. If you find your vents and ducts not functioning well, call a professional now. With time, the walls of air ducts and heating systems start collecting particles of allergens, dust, mould and bacteria. Every time your Air heating system turns on, it circulates air throughout ducts. It can have serious effects on indoor hygiene as well as the health of your family or staff. Furthermore, these types of contaminants decrease the efficiency and life of your ducted heating system while reducing its performance and lifespan. This results in increased power consumption. Regular air vent cleaning is necessary as it can remove airborne contaminants such as viruses, bacteria, fungus, mold spores, pet dander, pollen and other dirt. The need of your HVAC system getting cleaned increases in winters because due to the positioning of heating vents. These vents are placed very close to the floor as hot air rises upwards due to lesser weight. Being close to the floor can make it prone to contamination by various factors. In winter, ducted heating cleaning can keep your ducts functioning for long saving you from repairing costs along with keeping you warm throughout. The ducted heating cleaning performed by the Toms will remove all contaminants from your ducted heating systems. This ducted heating cleaning is necessary to keep your indoor air pure and improve quality and performance of your air duct systems. What to Expect From Toms Duct Cleaning Experts? Q: Do you repair the heating/cooling system? A: Yes. We are expert in ducted heating repairs and A/C system repairs. 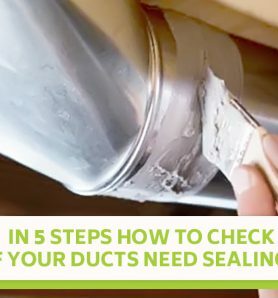 If you are looking for duct repair near me in Melbourne, Toms Duct Cleaning Melbourne is the best choice. Q: Can you provide a free quote for duct cleaning in Melbourne? A: Yes, we can give estimated ducted heating cleaning cost. We are renowned for affordable Duct Cleaning service. Q: How long does it take to clean my ducts? A: It depends on the Duct Cleaning requirement. All duct cleaning services can be finished on the same day. Q: Do you have “same day service” option? A: Yes, we provide same day Duct Cleaning and ducted heating cleaning. Q: How Do We Contact Toms Duct Cleaning Melbourne? A: All you need to do is dial 1300 068 194 and we will be at your service. Thank you, gentleman. We'll be recommending Tom's Duct Cleaning team to our other family members looking for a duct cleaning. Thanks again! The Technicians were very professional and explained everything in detail. The went the extra mile to repair the HVAC unit as well. very Happy with the service. I would recommend tom's dryer cleaning service to anyone.